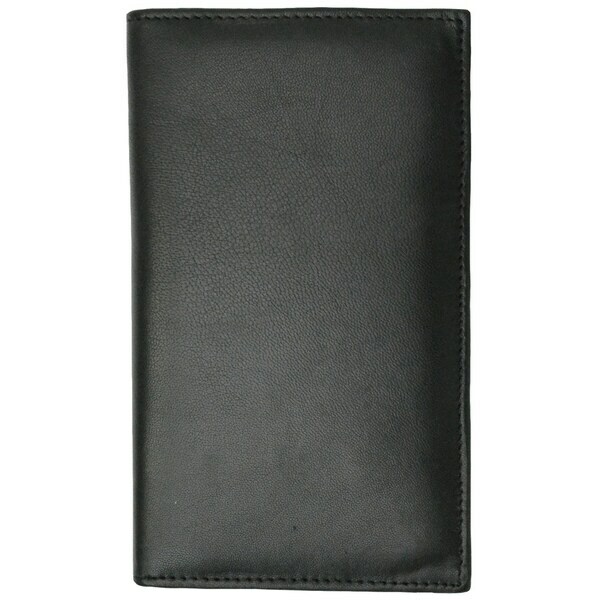 Organize and store your cards and cash in this Swiss Marshal bifold credit card holder. Crafted from premium leather, this accessory features 19 credit card slots and two bill compartments for your monetary storing needs. All of my higher end wallets never have enough card slots and it becomes a hassle in the store having to search through my purse to find the card I want to use. This wallet is so convenient and fits nicely into my small swing pack type purse. The strong leather smell is a bit overwhelming though lol. Gorgeous wallet! It holds all of my cards and has plenty of space for more. The leather is so soft and it keeps the strips on my cards protected. I will definitely purchase another just Incase the first one wears out. This wallet is soft durable and the perfect size for me and all my cards! Super chic and not too bulky! Love it!!!! Great card wallet. Slim profile fits in my purse easily. You can see all your cards at a glance. Great organization. The leather smell is a little strong but I love it! Great wallet, fits everything I need it too. Big in size, but that’s what I wanted. This one is okay! It's smells really bad!